Jagruti's Cooking Odyssey: Product Review : PopChips ! Not Fried, Not Baked ????? what could it possibly be ? Recently, I received a box of a Popchips (crisps) in assorted flavours. The first thought came in my mind when I saw the packaging is that they are serious about their product. The individual packets come in a variety of colours without screaming at you. It's the chips on the inside that do all of the talking! The fresh and modern packaging mirrored the new technology of "popped" chips. Popchips arrived from the States, where they are hugely popular amongst Americans and now they are also avaliable in UK places like Waitrose, WHSmith and Selfridges - lucky us!! Popchips are a healthy alternative snack when you feel like having something savoury, these chips are not fried, not baked but popped. Sound peculiar doesn't it ? Popchips have been made using this method in just the same way popcorn is made. You apply a little heat and pressure to a potato slice and it pops ! 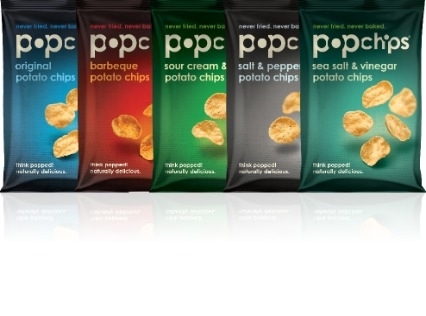 Popchips comes in various flavours added with many of natural spices and flavours. There are more than 10 flavours, which satisfy each and everyone of us - even the fussiest eaters. 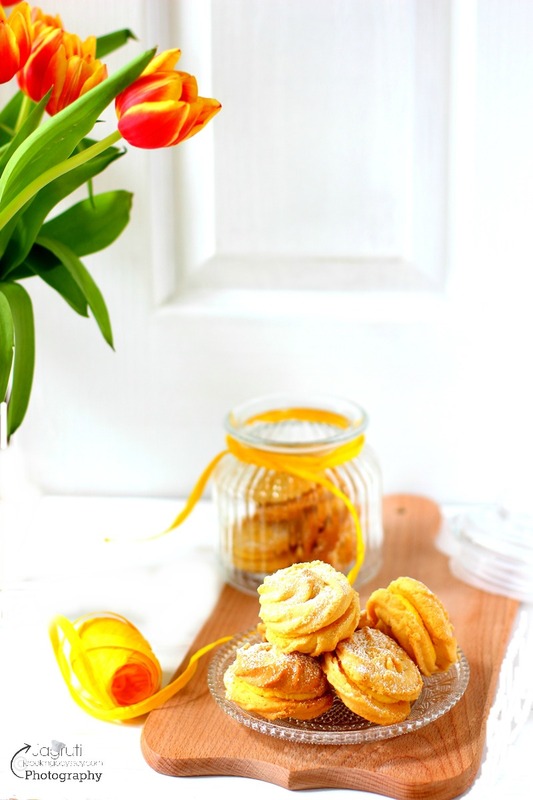 They are suitable for vegetarians and gluten free and come in various sizes. Popchips are low in fat, less than 100 calories in the 23 g packet, without compromising on taste and satisfaction! Each and every chip was thick and appeared slightly bubbled in appearance, especially relative to some of the other snacks we try here on a daily basis. The seasoning was coated generously and evenly on each and every chip. Quite crunchy but not overly hard. The majority of the chips inside were still well formed and we didn’t really have many crumbs to deal with - they had a good shape to them. I've tried all five flavours, they all had their own taste and unique flavour to them . First I tried Original Potato Chips - They were just perfect with the right balance of salt and seasoning, everyone would love them the way they are! Nothing to add, Nothing to take out..
Barbecue - Quite strong smoky, tomato flavour and had lovely kick to it. I felt a proper charcoal flavour to it, and on this one you can see little more seasoning. It was okay, but for me it was quite a strong flavour but my dear husband loved it :). I think this particular flavour is more for men. Sea Salt & Vinegar - When I opened the bag, you can say there is a vinegar presence, quite sharp but without being overwhelming. Although there was a strong taste, couldn't see loads of seasoning on it which was refreshing. Salt and Pepper - As soon as I opened the packet, I smelt freshly ground pepper which I love. It has that gentle warmth to it, not spicy at all and flavour lingers even when it's finished eating. Thank you Popchips for providing this healthy and delicious treat, will definitely POP over to my nearest store to get this Popped Popchips !! Thanks for the brief go through. Enjoyed in reading..